Experts are good about giving us exercise advice. The Department of health regularly updates physical activity guidelines telling us just how much exercise we need to improve our health, lose weight and more. The President's Council on Physical Fitness and Sports has chimed in with its own guidelines. 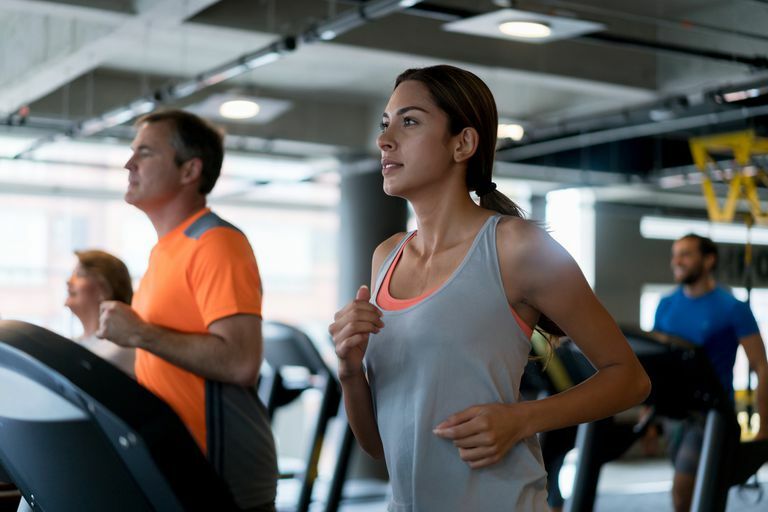 Even personal trainers, like me, offer the basics of how to exercise and you'll notice that most of these guidelines look about the same: Cardio about 3-5 days a week and strength training about 2 times a week. These guidelines are helpful, but often vague, leaving you wondering: How much exercise do I really need to lose weight? What many of us want when we go on a search for exercise advice is specifics. We want to know what activities to do and for how long, how hard to work and how to do the exercises. We want someone to say, "Here's the workout schedule you need to get exactly where you want to go." While plenty of experts will tell you they have the answer, the truth is, no one schedule will fit your exact needs. So how do you figure out how much exercise you need? One place to start is with your goals. To help you out, I've broken down the guidelines for the three most common goals: better health, preventing weight gain and, of course, weight loss. The sample workouts and schedules included will help you make exercise a reality. Do moderately intense cardio 30 minutes a day, five days a week or do vigorously intense cardio 20 minutes a day, 3 days a week. Also do 8 to 10 strength-training exercises, 8 to 12 repetitions of each exercise twice a week. While there aren't official guidelines for preventing weight gain, the ACSM's position stand on the subject suggests moderate-intensity workouts between 150-250 minutes (20-35 minutes daily) or about 1200 to 2000 kcal a week may help you maintain your weight. Now we get to the nitty-gritty, the amount of exercise you need to lose weight. You can see that it takes quite a bit of exercise just to prevent weight gain, and it takes, even more, to actually lose weight. If you're a beginner trying to lose weight, you may be put off by the amount of exercise you have to do. The good news is, you don't have to start at that level. In fact, a great way to approach it is to start with a focus on improving your health. Those workouts are perfect for beginners and allow you to build a strong foundation of strength before you move up to the more strenuous routines required for maintaining and losing weight. Start with what you can handle and use the guidelines as just that: Guidance to set up a program that works for you. ACSM and AHA. "Physical Activity and Public Health Guidelines." ACSM. President's Council on Physical Fitness and Sports.Fitness Fundamentals: Guidelines for Personal Exercise Programs. www.fitness.gov.